Two-thirds of all electrical fires begin in plugs or cords on appliances such as refrigerators, air conditioners or lamps. Frayed cords expose the electrical wires that spark on contact with each other. Most electrical fires can be prevented! 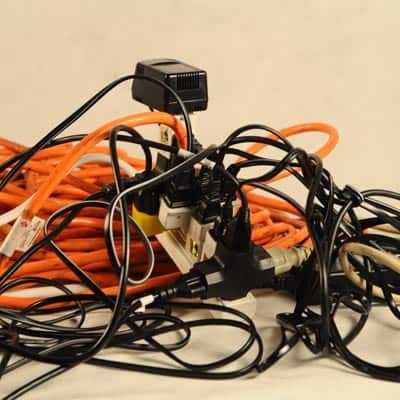 Make sure they protect all of the electrical cords in your home from damage, for example, don’t run cords under carpets or rugs and don’t hang them from nails.